I am so pleased to reveal the cover for COVEN! I think it captures the feel I was going for perfectly. 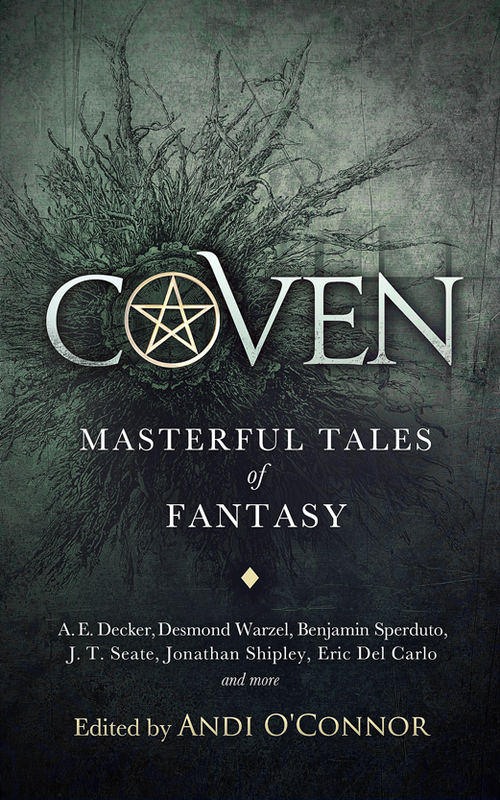 The title, Coven, was chosen because authors gathered together to weave their magic and create this amazing anthology. The cover also lends a bit of mystery, which I think is extremely appropriate. There isn’t a central theme. Each story is different and the reader won’t know what’s inside until they open up the cover and begin reading. The designer is still working on the full cover, so I will reveal that when it is ready. What do you think of the front cover? I’d love to hear your thoughts! Such a nice cover. I hate those classic fantasy book covers, the ones still found in the USA sometimes – crude pictures of scenes in the book etc. This style always works much better. Thank you! I’m glad you like it! I totally agree, the simpler covers are more eye-catching and intriguing. Something like this just says so much more.